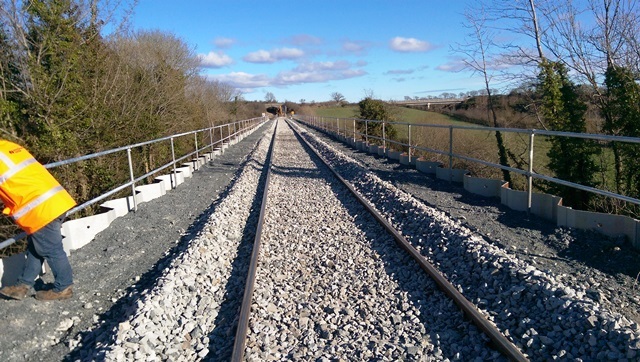 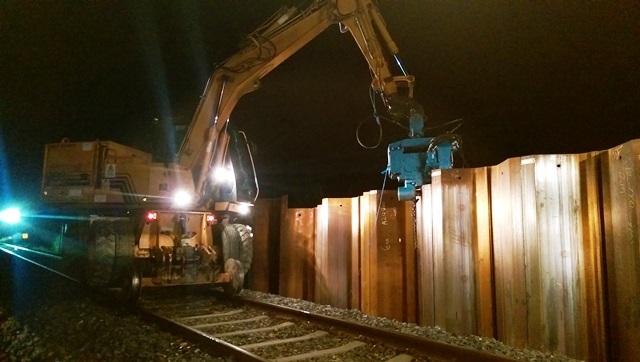 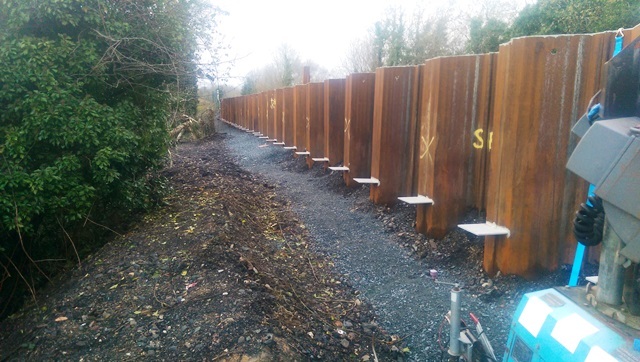 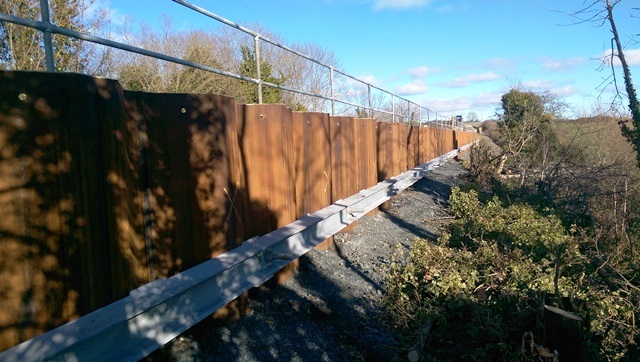 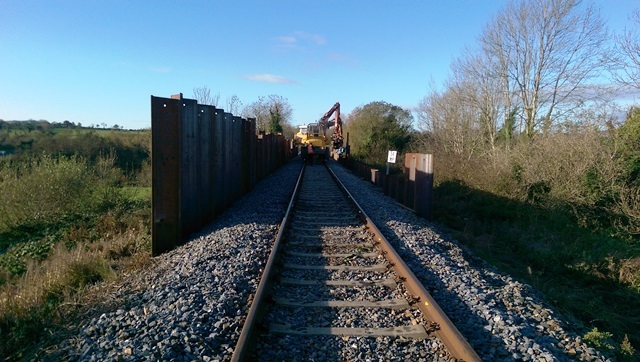 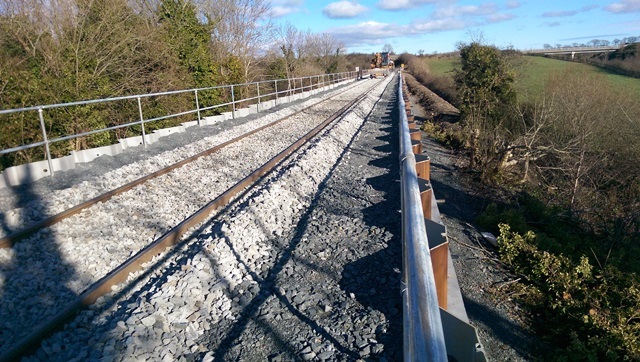 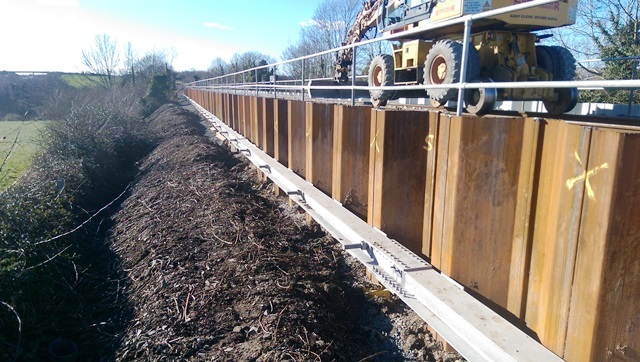 This Project involved the installation of 6m long hot rolled steel Z – section AZ-12-770 sheet piles either side of a 120m section of railway track on the Wexford – Dublin Line. 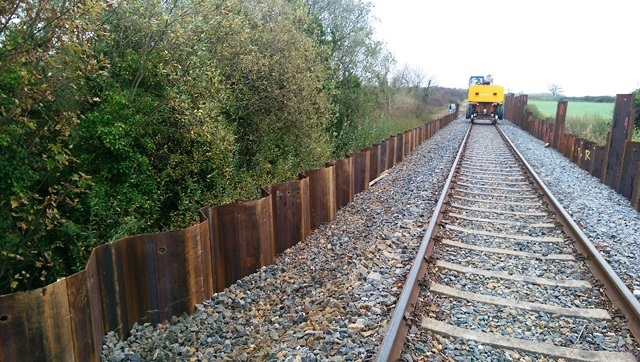 The Works were carried out in order to stabilise the embankment which was at risk to subsidence. 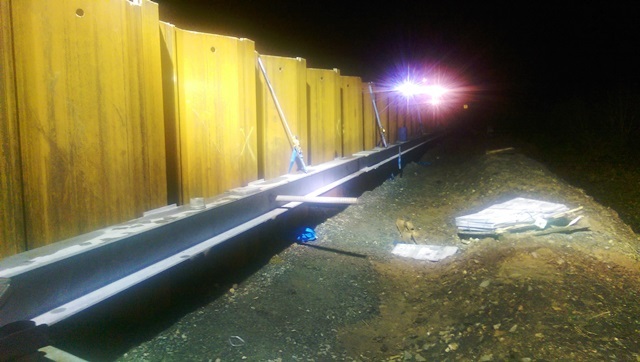 The works included the installation of a 305x305x97 Wailer beam to the back of sheet piles at a depth of 1.5m below track level, with both sides then being tied together with 63.5mm tie rods, anchor plates and lock nuts. 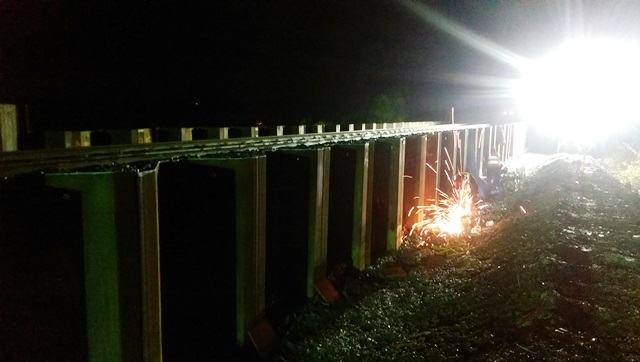 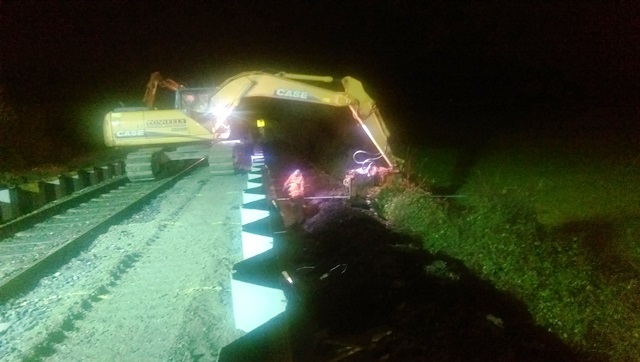 The Works were carried out during TIII Night time Rail line possessions in order to allow the rail line to remain operational for duration of the works. 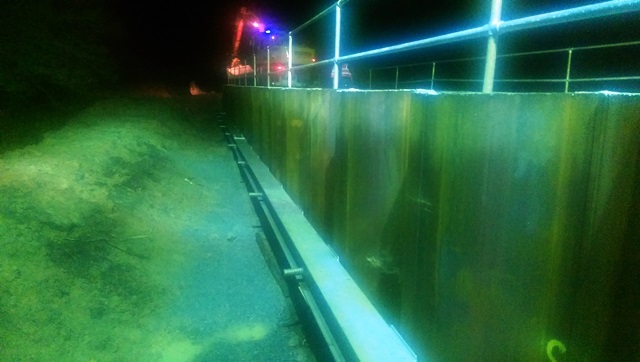 This required a high level of planning and organisational work to ensure all resources and materials were in place to carry out the work over such a short working time period. 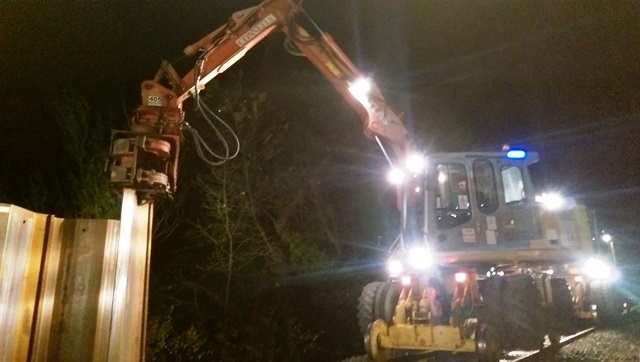 There was also a live fibre optic cable running through the work site which had to be exposed, relocated and protected for the duration of the works before being reinstated after the piling works had been completed. 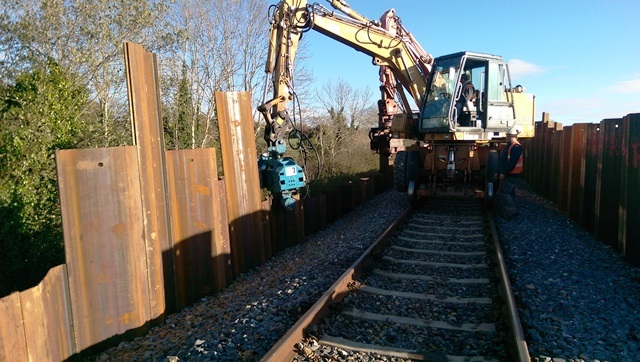 As part of this project the The Railway track was monitored on an on-going basis by carrying out daily track monitoring surveys using a total station to read targets installed at 3m centres along railway track in ensure there was no movement of the track as a result of the piling activities. 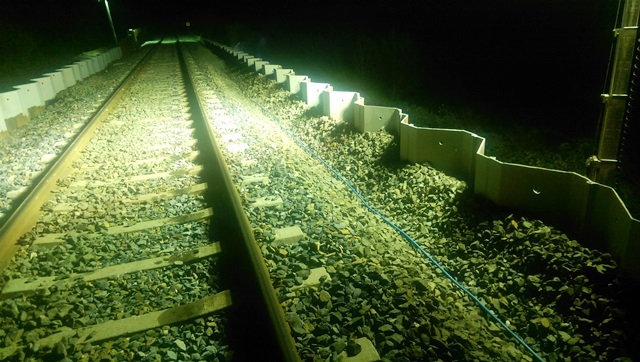 This monitoring ensured the rail line was safe and fit for purpose and could be kept fully operational with no disturbance to train movements and their passengers.